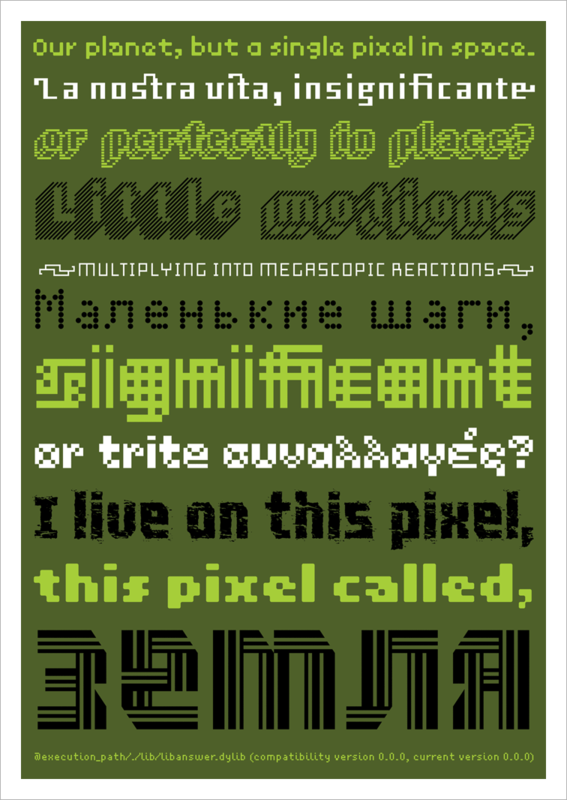 Pixel Pac 01 is a collection of 26 bitmap or grid based typefaces. Some are designed as text typeface for print or the screen, others for use in large sizes. Almost all have an extended (Latin) character set, some also have Greek and Cyrillic character sets. The typefaces have various OpenType features.